A 27 year old man will be locked up for 27 years for murdering his boss and leaving a colleague fighting for his life. After killing 40 year old dad of three Parvaiz Iqbal, Naeem Mehmood ran through the town brandishing a large knife, damaging vehicles and smashing a shop window. A large-scale police operation was mounted and Mehmood was swiftly arrested in the car park of a supermarket . Mehmood, of Herringthorpe Valley Road, pleaded guilty to murder and grievous bodily harm with intent at Sheffield Crown Court. He was sentenced to life for the murder, with a minimum of 27 years, and 10 years for grievous bodily harm with intent. "This was a brutal and shocking murder in which Mehmood launched a vicious and seemingly unprovoked attack on his boss and colleague. Using information from the public, sightings of Mehmood on CCTV, and information from officers on the ground, Mehmood was arrested within 12 minutes of the first call being made to police." "I want to thank those people who came forward with information and helped police to trace Mehmood. The numerous forensic scenes that were established as part of the investigation also caused local disruption and I want to take this opportunity thank people for their tolerance. "As the case has not gone to trial, the exact reasons why Mehmood chose to attack his boss and colleague in such a violent way remain unclear. He had only recently returned to work and the innocent victims in the case were simply going about their daily business when Mehmood launched his unprovoked attack. "I hope that his guilty plea today will go some way to providing closure for Mr Iqbal’s family who are still grieving for the loss of their husband, brother, father and son. 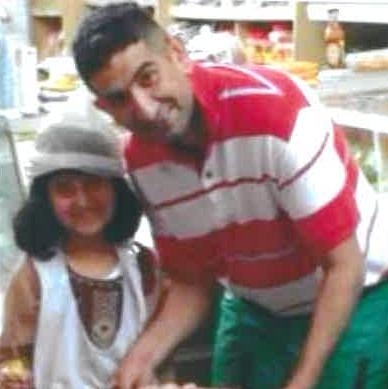 Mr Iqbal was a well-known member of the community and his death has touched many people."